Database Systems Corp. (DSC) is a leading provider of call center technology including marketing phone systems and software. DSC has developed a mortgage software application and mortgage loan processing software for prospect lead tracking. 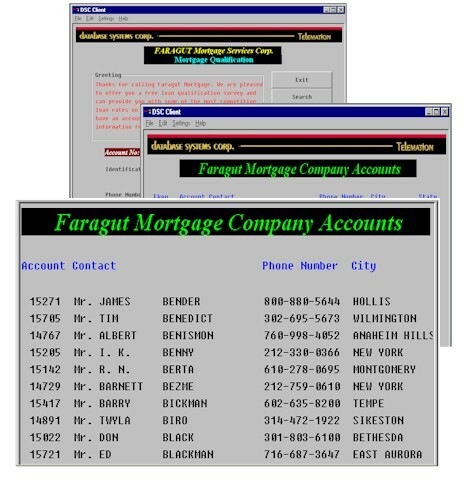 This software application is completely integrated with our phone systems which can perform both inbound and outbound mortgage marketing campaigns. 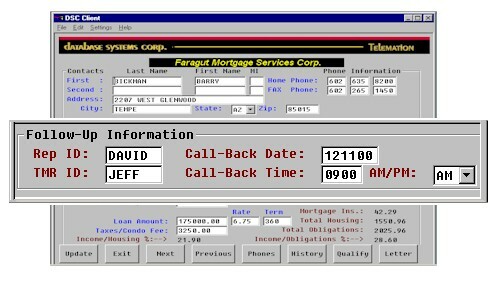 Our mortgage application was developed using TELEMATION, our award winning contact management software application toolkit. This CRM software tool is ideally suited for processing mortgage loans and managing customer information. Our mortgage marketing software has extensive computer telephony features and is fully integrated with our auto dialer and inbound phone system. 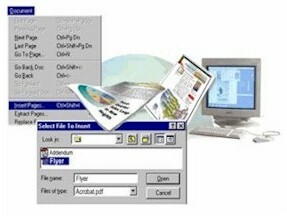 TELEMATION operates on Linux, Unix or Windows servers. Mortgage applications can be quickly tailored to your mortgage business using the robost features found in our loan software toolkit. Mortgage companies such as Chase Manhattan Mortgage Corporation have relied upon TELEMATION to handle their mortgage processing requirements. To view how other businesses and organizations are using this mortgage software application, please visit our Mortgage Marketing web page. Calls can be answered by our phone system or calling campaigns can be initiated using our mortgage marketing phone dialer. In either case, Database Systems Corp. can provide your mortgage marketing organization with a full range of desktop applications that control or respond to our phone system. For centers that do not require a complex online loan processing program, we can provide an economical softphone solution. 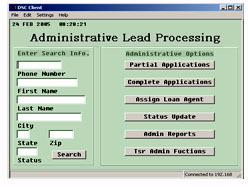 If your center already has an online loan processing software application, we can provide a web phone solution that works with this application. Our mortage marketing application can be a desktop program that simply controls the connection between your loan officer and our phone system. Simple features such as logging in and out, transferring and conferencing calls, recording the conversation, etc, can all be performed using this application. If needed, caller information (name, address, etc.) can be displayed on this softphone as the call is being processed by your loan officer. This softphone can be tailored to meet your specific needs. This solution can be completely tailored to meet your mortgage center's requirements. Our mortgage CRM solution is a robust application that can be customized and tailored to fit your mortgage company. Built using Telemation, our call center CRM application development tool, this mortgage software application can provide your loan officers with the information required to satify your client needs. Our mortgage CRM software helps your loan officers keep track of prospective clients. Officers are assigned each prospect either before the initial call is made or during the loan qualification process. Lists are maintained of a loan officer's specific clients and these prospects can be searched in a database and displayed online. After the initial contact, it is important that your loan officers reply to prospective mortgage clients in a timely fashion. Our mortgage software allows your loan officers to record notes and designate follow-up dates and times to ensure that no prospective client is lost in the paperwork. One of the important features of our mortgage loan software is the ability to perform custom calculations, particularly loan qualifications. 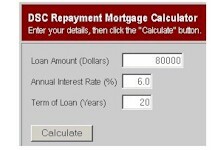 These calculations include loan qualification factors and parameters that may vary from lender to lender. Our mortgage loan calculator can be tailored to your particular loan criteria and the results provided to your prospects immediately over the phone. Other calculations include income ratios and debt analysis. Contact DSC to learn more about our products that process mortgage loan leads and home equity loans using our mortgage loan processing software.